Will be hosting the Circle of Security Parenting Series March 6th through April 24th. These events are free of charge and open to the public. 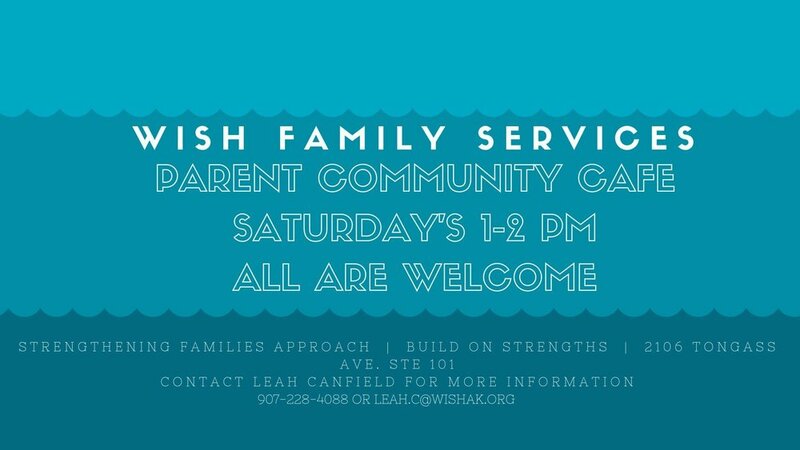 Join WISH Family Services for a weekly parent community cafe! Discuss the joys and challenges with other community caregivers. Share your skills and learn more about the strengthening families framework to promote resilience! 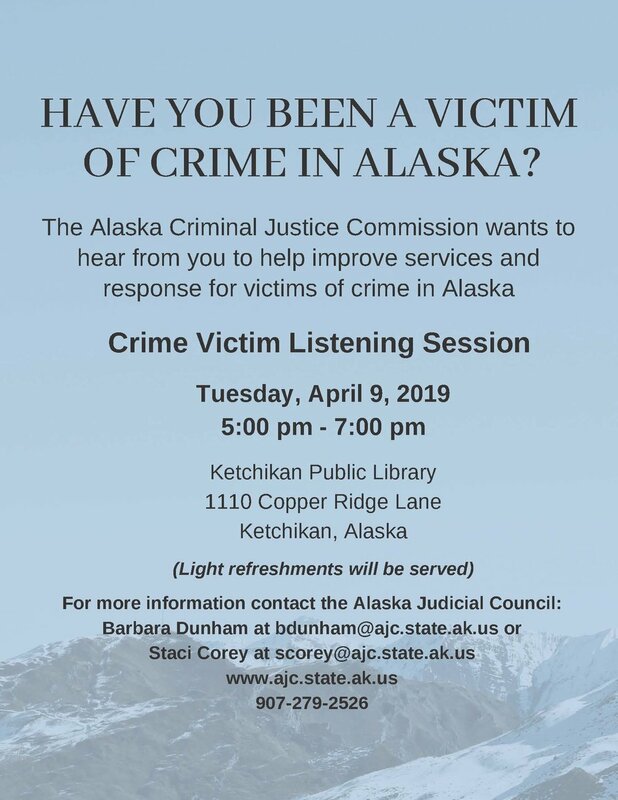 Alaska Criminal Justice Commission will be hosting a Crime Victim Listening Session in Ketchikan. The session will be focused on hearing from victims of crime and advocates to help improve services and response for victims of crime in Alaska. March to the Discovery Center at 5:15, light refreshments and a few comments to follow. 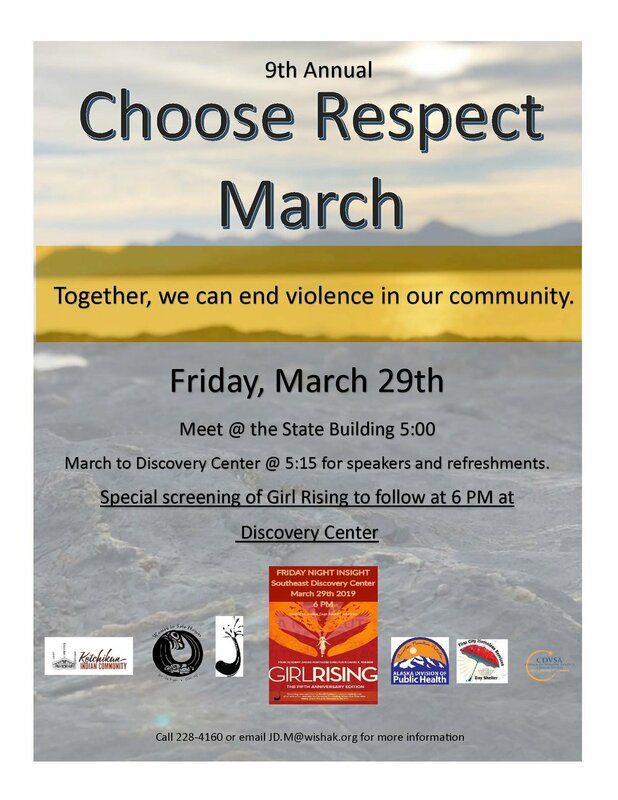 Following the march, there will be a special screening of Girl Rising for the Friday Night Insights program. The New Board of Directors will discuss the main directions of organization management, strategies and goals for the coming year. New Board Members will express their vision for the development plan of the organization. 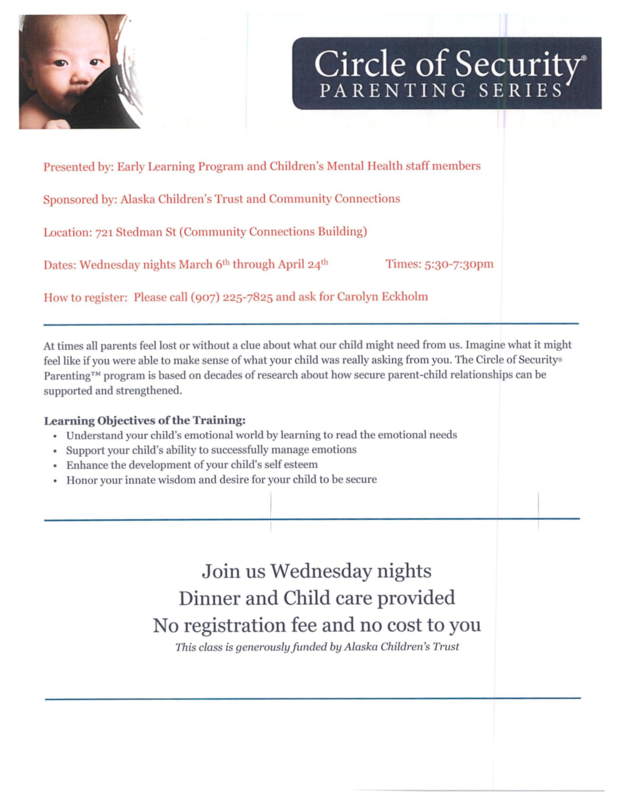 Will be hosting the Circle of Security Parenting Series every Wednesday March 6th through April 24th. Will be hosting a Children's Health Fair on March 9th and the Circle of Security Parenting Series March 6th through April 24th. Foster Parent Pizza Night is an opportunity for Foster Parents to come and share their stories and experience, ask questions and give advises. Please join us every first Friday of the month. The Board of Directors would like to invite WISH members and the Greater Ketchikan Community to our Annual Membership Meeting. WISH Board of Directors elections, WISH’s Annual Update and more will be discussed. There will be light refreshments to enjoy.